There is much confusion about HDMI cables and their ability to transmit true 4K signals. Working in conjunction with the HDMI Forum, our latest range of CYP Premium HDMI cables are guaranteed to deliver high frame rate 4K UHD and 4K HDR whilst maintaining a stable HDCP 2.2 connection with a bandwidth of 18 gigabits per second. These certified cables now give users the peace of mind that the picture on the screen is a true representation of the output from their UHD sources. 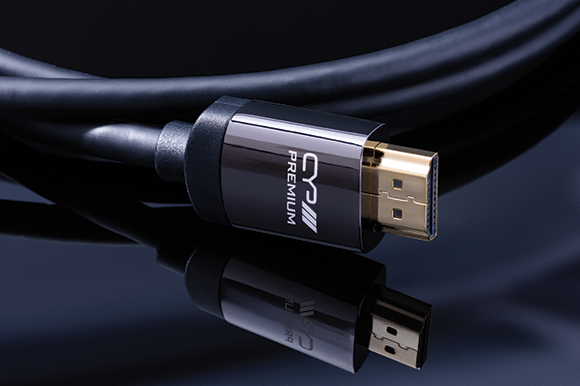 The CYP Premium 4K/UHD AV Cable is HDMI certified – thus promising a fully stable output. Furthermore, the cable is crafted with superior materials for a robust performance. The cables are twisted to the point of termination to reduce interference within the connector. This is complemented by a die-cast zinc alloy plug that ensures an extra tight fit in the socket.A patented wire manager design and automated soldering process improves production efficiency, performance and reliability. Each plug is finished with a die-cast zinc alloy rear shell for exceptional EMI shielding and structural integrity. 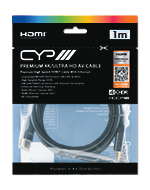 For further peace of mind, each CYP 4K/UHD Cable is also tested twice in manufacturing before it is granted its Premium HDMI QR code, confirming it meets the full specification. 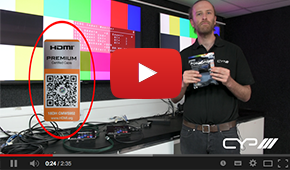 In the video below, European Technical and Training Manager Nick Bovill explains why these cables are essential to achieve TRUE 4K video transfer. Available in 0.5m, 1m, 2m, 3m and 5m lengths, distances can be extended up to 10m with the CYP RE-101-4K22 4K UHD HDMI Repeater. Designed to enhance and stabilise high-bandwidth HDMI signals, the RE-101-4K22 allows users to extend a UHD 4K HDMI 2.2 signal by an additional 5m, whilst providing the function of customised EDIDs. Available from stock now, please contact us for further information or to secure stock for up and coming installations.